Hayashi, the world’s most famous samurai entertainer, has performed in 18 countries around the world in 8 different languages. He has captivated millions of viewers with his samurai sword act on primetime national television shows in the UK, Japan, The Netherlands, Brazil, Italy, Spain, France, Czech Republic, Slovakia, Turkey and Germany. In 2010 his heart-stopping act was referred to in the British press as “the most dangerous act on television” and he made headlines in the German press by doing his incredible demonstrations with all three of the judges on “Germany’s Got Talent” (Das Supertalent). His unique combination of charismatic stage presence and intense concentration has electrified audiences worldwide. Hayashi is the only performer of his kind and the first to bring blind samurai sword demonstrations to the mainstream media. He combines the culture and tradition of 1000 years of history with a lifetime of training to bring the spirit of the Samurai to the western world. Hayashi has extensive media experience and can be booked for television appearances. From 2008 to 2010 he performed 19 times on LIVE national primetime television with full-length featured acts of over 8 minutes. On request the Hayashi Samurai Management Team will email you links to Hayashi’s television work. Ryan Hayashi, born in 1973 in Canada, began his training in the martial arts in 1982 at the age of 9. From 1992 to 1997 he studied Languages and Linguistics at Carleton University in Ottawa, Canada, where he began his training in traditional Shotokan Karate. In 1998 he moved to Tokyo, Japan, where he lived for 2 years, working as an English teacher and training intensively with the world’s highest ranking masters at the World Headquarter School of the Japan Karate Association (JKA). In 2000 he moved to Mannheim, Germany, where he works as a lecturer at the University of Mannheim. Besides teaching, he also travels the world performing. Hayashi is WKA world champion in martial arts weapons forms. He competed at the WKA (World Kickboxing and Karate Association) Martial Arts World Championships held in Karlsruhe, Germany, August 21-28, 2011. A Canadian citizen, Hayashi competed as a member of the Canadian national team. On August 25, he won first place and the gold medal in the weapons division with his samurai sword demonstration. His score from five international judges was an unbelievable 9.99 out of 10. 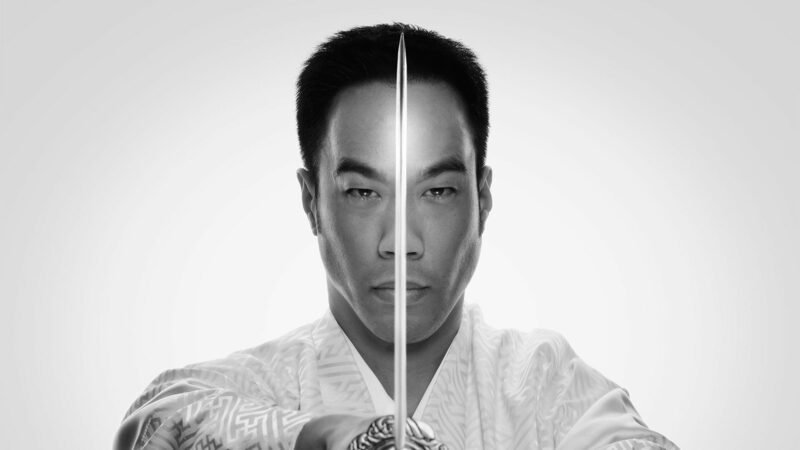 Ryan Hayashi teaches Karate and Iaido (The Art Of The Samurai Sword) in Mannheim, Germany. The Hayashi Karate Team now trains at the new HAYASHI DOJO Martial Arts Academy, which opened in May 2015. The school is located at T6, 2 (T6 Street, building number 2) in downtown Mannheim, Germany. Karate training for beginners is on Mondays and Wednesdays, 7:15 pm to 9:00 pm. Fridays are advanced and technical training. Instruction is in English and Japanese. Free trial training. Visitors are welcome. Self-Defense, Tai Chi and Chi Gong trainings are by appointment only. HayashiKarate (空手) is the world’s most popular martial art, with over 40 million practitioners. There are many styles of Karate, with Shotokan being the most commonly practiced worldwide. While there are several international organizations that practice Shotokan Karate, the JKA (Japan Karate Association, in Japanese: “Nihon Karate Kyokai”) is the largest. The JKA, founded in 1949, is the world’s first, largest and oldest existing organization for traditional Japanese Karate. It is also the only Karate organization in the world which is recognized by The Government Of Japan as a “Shadan Hojin”, or an official government body with the status of being “for the benefit of the public”. The JKA and its branch organizations have over 10 million members around the world. Hayashi has been a JKA certified Yudansha (black belt) since 1995. His 1st and 2nd Dan examinations were held by Master Teruyuki Okazaki, 10th Dan, a first-generation JKA instructor who introduced JKA Karate to North America in the 1960’s. From 1998 to 2000, Hayashi lived in Tokyo, Japan and trained intensively at the JKA World Headquarters (Honbu Dojo) under the world’s highest ranking instructors. He was ranked 3rd Dan at an examination at the JKA World Headquarters in 2000. Hayashi with sword Iaido (居合道) is the Japanese “Art Of Drawing The Sword“. It is a classical martial art derived from the centuries-old traditions of the Samurai warrior classes. “I” means “to be alert”, “AI” means “to face opposition”, and “DO” means “the way”. Literally translated, i-ai-do means “the way of being mentally prepared to react to attack”. Training in Iaido involves learning the history, culture and traditions of the Japanese sword (Katana). Beginners first learn basic techniques with a wooden sword (Bokuto). More experienced students train with a training sword (iaito) which is constructed with the correct weight, balance and feel of a real Katana, without the razor-sharp cutting edge of a live sharpened blade. Decorative imitation swords are not allowed in training. Only iaito designed specifically for iaido training are allowed. This enables the student to safely learn how to draw and handle a sword correctly. Only highly advanced experts are permitted to train with a real (shinken) blade. At first, students work on the perfection of formal exercises (kata) through exact repetitions. Later, when the exercises have become effortless, they work towards the ultimate goal of iaido, which is to achieve a state of connected mind, sword and body (ki-ken-tai-ichi).